Below you will find a list of selected academic journal articles, book chapters, reports, editorials, etc. Some are available open access (i.e. free), but if you cannot access any that you are interested in, just get in touch. You can also visit Talks and Media for presentations of some my research and data. 2016 Global Citizenship and Development: from benevolence to global justice? In J. Grugel and D. Hammett (eds) The Palgrave Handbook of International Development. London: Palgrave. Details here. 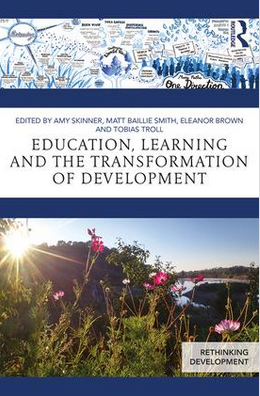 2016 ﻿Education, Learning and the Transformation of Development,﻿ London: Routledge. (ed. with Amy Skinner, Eleanor Brown and Tobias Troll). Link here. 2016, 'Education, International Volunteering, and Citizenship: Young People’s Subjectivities and Geographies of Development' in Geographies of Global Issues: Change and Threat Eds N Ansell, N Klocker, T Skelton (Springer Singapore, Singapore) pp 1-20 (with N. Laurie, E. Brown, M. Griffiths and D. Humble). Link here. 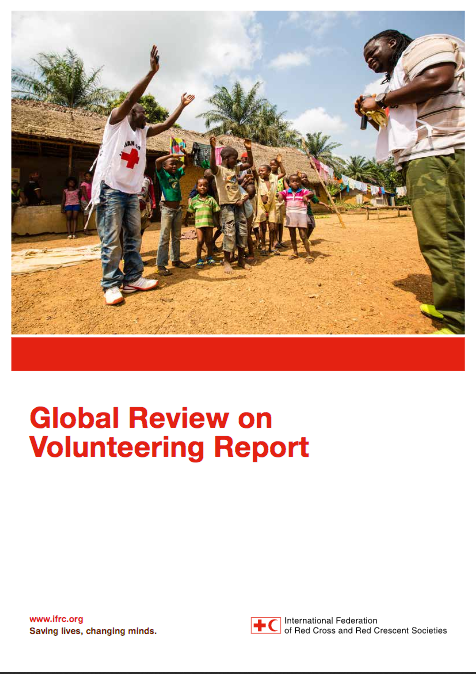 2015, ﻿﻿IFRC Global Review of Volunteering,﻿﻿ IFRC, Geneva (with Shaun Hazeldine)﻿. Link to full report here. 2015, Reconceptualising global education from the grassroots: the lived experiences of practitioners. DEEEP, Brussels (with Amy Skinner). Link to full report here. 2015, World Disasters Report. Focus on local actors, the key to humanitarian effectiveness. 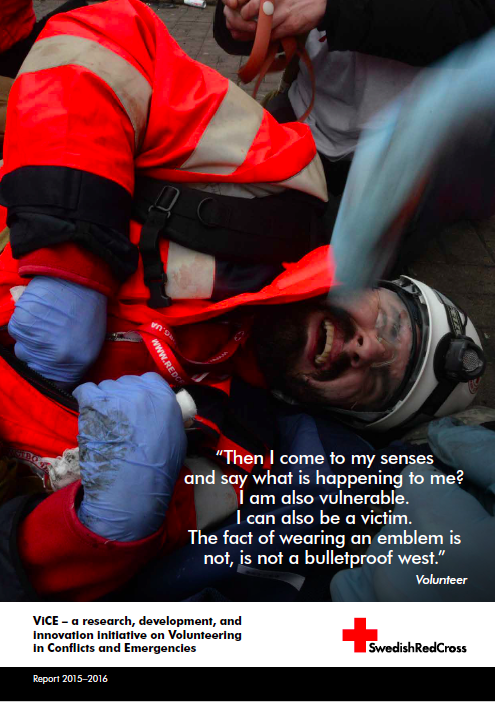 IFRC, Geneva (Contributing author). Link to full report here. 2015, Volunteering and Development research: time for a rethink. Institute for Development Studies Blog, 2nd September. Link to blog here. 2015 'Transitions to religious adulthood: relational geographies of youth, religion and international volunteering'. Transactions of the Institute of British Geographers, 40: 387–398. doi: 10.1111/tran.12083. (with P. Hopkins, E. Olson and N. Laurie). Full article available here. 2014, 'Development education, global citizenship and international volunteering'. In Desai V. and Potter R. (eds) The Companion to Development Studies, London: Routledge. 2013, ‘Public imaginaries of development and complex subjectivities: the challenge for development studies’, Canadian Journal of Development Studies/Revue canadienne d'études du développement 34 400-415. 2013 ‘International volunteering, faith and subjectivity: negotiating cosmopolitanism, citizenship and development’, Geoforum 45 pp. 126 -135 (with N. Laurie, P.Hopkins and B.Olsen). 2012 Guest Editorial, ‘Reimagining Development Education for a Changing Geopolitical Landscape’, Policy and Practice: A Development Education Review 15, (pp. 1 – 7). 2012 Special Issue editorial and introduction: ‘Emotional methodologies: the emotional spaces of international development’. Emotion, Space and Society 5 (2) (pp. 75 – 77) (with K. Jenkins). 2012 ‘India postcard’ in Phillips, R. ‘How to be an explorer’, in Phillips R. and Johns J. 2012, Fieldwork for Human Geography, Sage: London (pp. 191 - 193). 2011 ‘Disconnections and exclusions: professionalization, cosmopolitanism and (global?) civil society’ Global Networks 11 (2) (pp.160 – 179) (with K.Jenkins). 2007 ‘Ambivalent cosmopolitanism: NGOs and public engagement’ in S. Hickey, D. Mitlin and T. Bebbington (eds.) NGOs and Development Alternatives, Zed: London (pp. 298 – 315) (with H.Yanacopulos). 2007 ‘What counts as development research?’ in M. Smith (ed.) Negotiating Boundaries and Borders: Qualitative Methodology and Development Research. Elsevier: Oxford (pp. 13 -34) (with D. Humble). 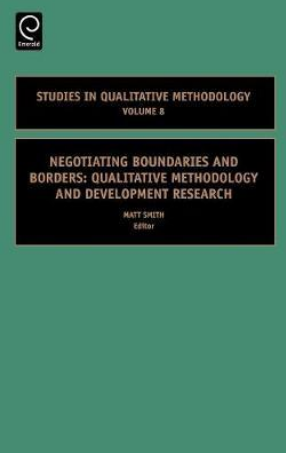 2007 ‘Negotiating boundaries and borders: qualitative methodology and development research’ in M. Smith (ed.) Negotiating Boundaries and Borders: Qualitative Methodology and Development Research. Elsevier: Oxford (pp. 1 – 9). 2007 Development Education and Development Studies. Report to DFID of funded research project (with D. Humble). 2005, ‘Power, inequality, change and uncertainty: viewing the world through the development prism’, in C. Pole (ed.) Seeing is Believing. Elsevier: Oxford (pp. 123 – 145) (with J. Donnelly). 2004 ‘Sustainable development, sociology and UK higher education’, in J. Blewitt and C. Cullingford (eds.) The Sustainability Curriculum. Earthscan: London (pp. 191 – 207) (with J. Donnelly and A. Parker). 2004 ‘Contradiction and change: NGOs, Schools and the Public Faces of Development’. Journal of International Development, 16 (pp. 741 – 749). 2004 ‘Mediating the world: development, education and global citizenship’, Globalisation Societies Education 2 (1) (pp. 67 – 82).